We live in a high-pressure environment. Stress from relationships, finances and careers can pile on top of one another. Before you know it, you live in a state of chronic stress. This wreaks havoc on our health and our mental and physical performance. 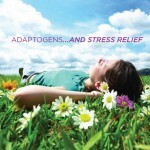 Fortunately, Isagenix® has a solution to help you to calm down, relieve stress and unwind: adaptogens. Adaptogens are natural botanicals that have unique characteristics to help your body combat stress, focus your mind and elevate your daily performance. Be safe and pass testing for toxicity. Reduce harmful effects of stress. Help improve physical performance and endurance. Adaptogens and stress relief: who needs adaptogens? Given the calming stress relief that comes from adaptogens, the real question becomes, ‘Who doesn’t need them?’ When your day is dominated by your job, traffic, bills…You know better than anyone what your stressors are. Not all stress is bad, mind you. The purpose of stress is to help you react quickly in dangerous situations. The chemicals that cause stress are supposed to help the human body in quick bursts, then dissipate once a crisis is over. They aren’t supposed to stay in your system for hours at a time, as they do with chronic stress. Which Isagenix products contain adaptogens? e+ is a quick and easy way to get an energy boost with natural caffeine from green tea and yerba maté. The adaptogen blend, Adapto+™, helps target physiological as well as mental stress, supporting focus and concentration. It is a great alternative to any energy beverage that can be high in sugar and kilojoules. In fact, e+ has been shown to support weight loss on Cleanse Days. Consume no more than two per day for a morning boost, an afternoon pick-me-up or pre-workout boost. Ionix® Supreme is a potent daily tonic that can help the body adapt to everyday stressors and support healthy ageing. The adaptogen blend, IsaAdapt™, in Ionix Supreme promotes balance and homeostasis in the body. It truly is ‘nature’s answer to stress’. Recommended use is one to two servings per day, hot or cold. For a closer look at the ingredients used in our adaptogen blends, click here!